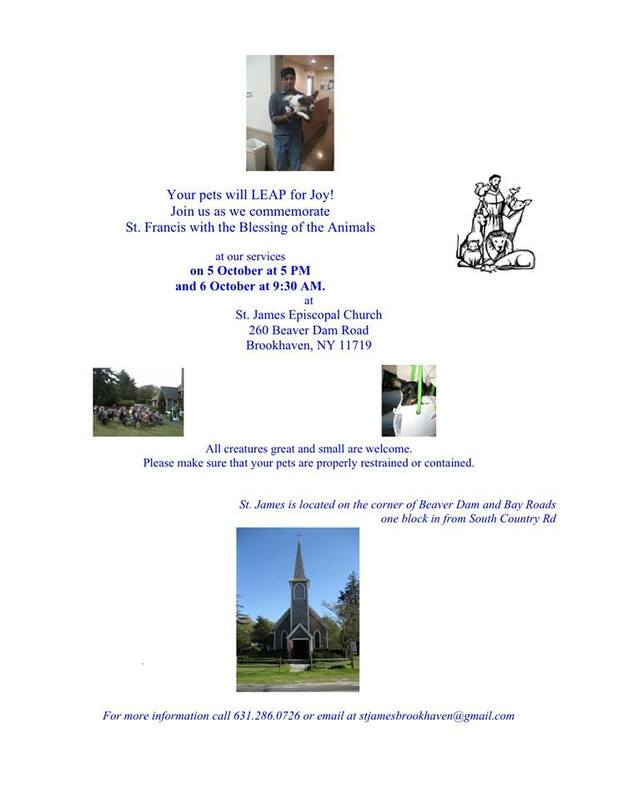 Join us this Saturday at 5 PM and Sunday at 9:30 AM as we commemorate St. Francis with the blessing of Pets and Animals. All creatures great and small are welcome. Please make sure your animals are properly restrained or in containers. If it is not raining, the service will be outside. Please bring your sweaters and jackets.